Henry Goster is the new Deputy Director of Andiamo Youth Cooperative Trust (AYCT). Fr. Mario Pacifici, one of the founding trustees of AYCT, announced this Tuesday morning, 5 November 2013 in a “special meeting”. According to Fr. Mario, Henry, who until his appointment was the Coordinator for “Get Up Stand Up” microcredit project, has been appointed not because of words but facts on the ground. “Through the ‘Get Up Stand Up’ project, Henry has shown that he is capable,” said Fr. Mario citing the reports Henry has been compiling and the rejuvenation of the project that at one time looked to have flopped. Rosario Nkhoma, AYCT’s Human Resource Coordinator, has since asked for unity of purpose between the Executive Director and his Deputy. In his short acceptance speech, Henry reminded the Executive Committee that he is only human but has promised to work with everyone. In the same meeting s new faces were introduced. These are Chimwemwe Mwenyemasi, Mayamiko Taferakaso, Loyce Phuka, Christina Chilongo, Mwayi Chabwera and Mercy Kalonga. Henry will deputise Andrew Galeta. 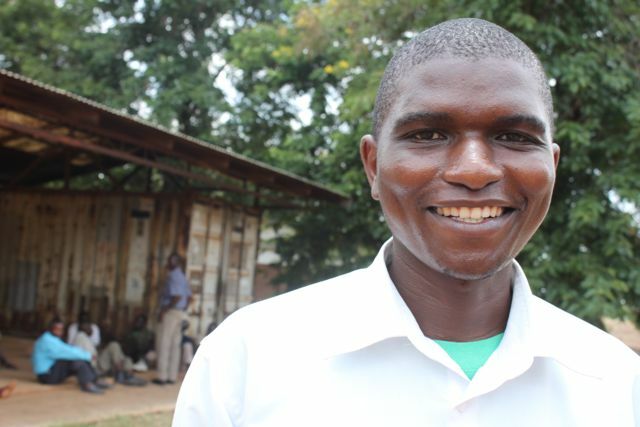 This entry was posted in Culture and Sport, Education, Health Care, News from Malawi, Social Development and tagged Andiamo Youth Cooperative Trust, Andrew Galeta, Fr.Mario Pacifici, Get Up Stand Up. Bookmark the permalink.